A vicious creature lurking in the Reflecting Pool in D.C. has killed 80 ducklings in recent weeks, and it's prompting drastic action. Dozens of ducklings have been killed in the Lincoln Memorial Reflecting Pool on the National Mall in D.C., and authorities think they’ve found the killer. 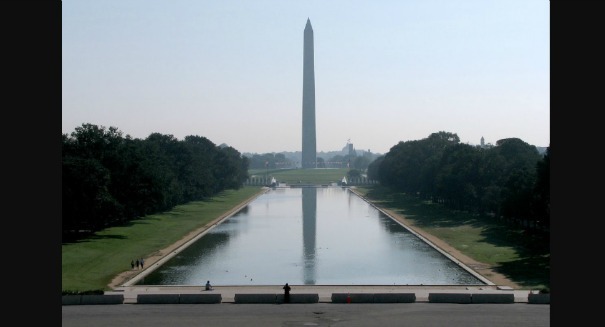 The National Park Service will completely drain the Reflecting Pool on Sunday to completely clean the area due to an outbreak of a parasite that has been blamed for killing about 80 ducklings since May. Authorities first discovered the problem in late May, and after a necropsy was performed on some ducks, they realized that a parasite found in snails that live in the Reflecting Pool were found in the ducklings at much higher levels than they should be, and were likely causing the deaths. Chemical treatments aren’t enough to lower the parasite levels, so authorities are simply going to drain the Reflecting Pool for a week.